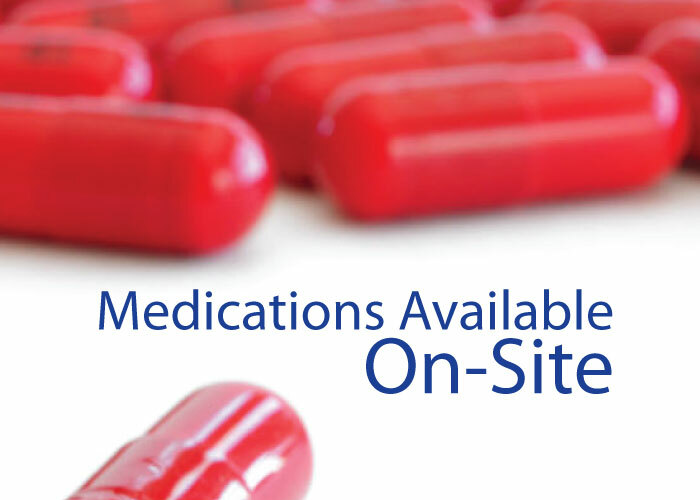 During your visit our staff can help answer any question you may have about our on-site medication program. Our clinic sites are not stocked with narcotics or controlled substances in any form. This service is offered to our patients in line our company’s mission to provide patient’s the very best in care and convenience. See What Our Patients Are Saying About This Program!